I recently decided it was high time I quit cursing my micrometer carriage stop, and actually make myself a bracket for mounting a dial indicator. 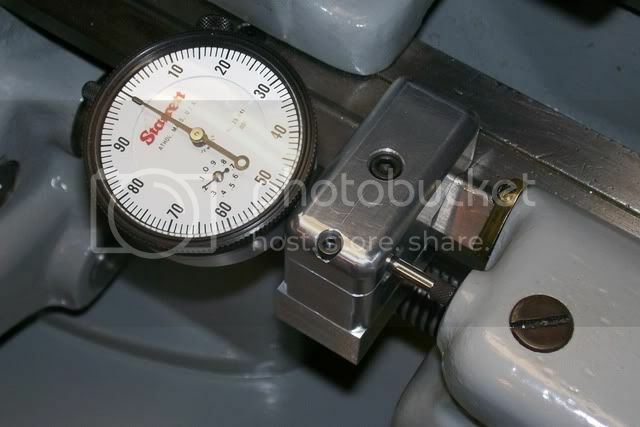 I had a dial indicator on my previous SB lathe, and it was a very useful accessory. While a positive stop for the carriage is sometimes preferable, I?ve found that for most of my work, the dial indicator is much more useful for easily and precisely locating the carriage along the ways. Such brackets can be readily machined from metal bar stock, but I prefer the Metal Lathe Accessories MLA-8 indicator/saddle stop bracket, for its streamlined design and classic look. It?s a fun little project that can be completed in a couple of evenings. And for those of you out there who don?t like machining cast iron... fine, I say, that leaves more for the rest of us! If you have never machined an iron casting before, it can be a bit of a challenge to figure out the best machining approach. One has to carefully judge material allowances, and pay close attention to how the UNmachined surfaces relate to those which will be machined. It?s a kind of knack that one slowly develops with experience, and I actually enjoy the challenge. This project, being fairly simple and forgiving, makes an ideal first project for the novice. The bracket contour can then be traced on the casting, such that the indicator location is centered on the round casting boss. This is just to get us close -- there will be a bit of cut-and-try when the time comes to fit the bracket to the bedway. This setup worked pretty well. After getting it machined as close to the line as I could, I removed the bracket and offered it up the lathe bedway -- close, but not quite there. Back to the mill for a tweaking cut, and that was all it needed. The bracket slid very easily along the front V-way. 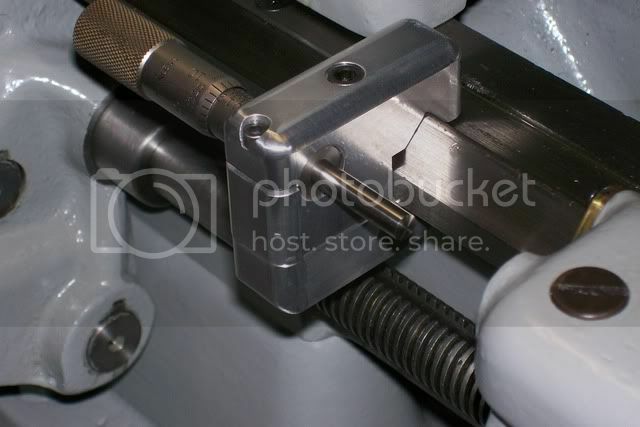 The rest of the machining operations are fairly straightforward. I deviated slightly from the plans in moving up one size on the cap screws (1/4 & 5/16 instead of #10 & 1/4), but only because there was ample clearance, and it seemed more ?proportional.? Be careful to block up the saw, or place a piece of scrap in the indicator hole, so that the saw blade doesn?t mark the opposite side of the indicator hole when it cuts through. The clamp shoe is a simple part to make. You may have to machine an eighth of an inch or so off of one end, to clear the carriage rack, as I did. The plans call for the 1/8? dowel pin to be pressed into the clamp show, but I pressed mine into the bracket. No particular reason -- just made more sense to me. My next challenge: save up for a 2? travel indicator! As always Paula, nice work. This is one of those projects that never seems to find it's way off my to-do list and replace the magnet/indicator set up that I use now. Seeing the whole thing done in one post might be enough motivation to make me get it done, thanks. I do have a question about your face mill though. What diameter is it and have you used it on any material other than cast iron? I'm just curious how an indexable face mill works on a smaller sized mill. I assume the clamp kit is a (2) piece kit; body and foot? Ok Paula, can your next post be a collection of all your screw ups? I'm getting tired of having to praise your work. It's just not in my nature. I'm so glad you posted your journey on this. 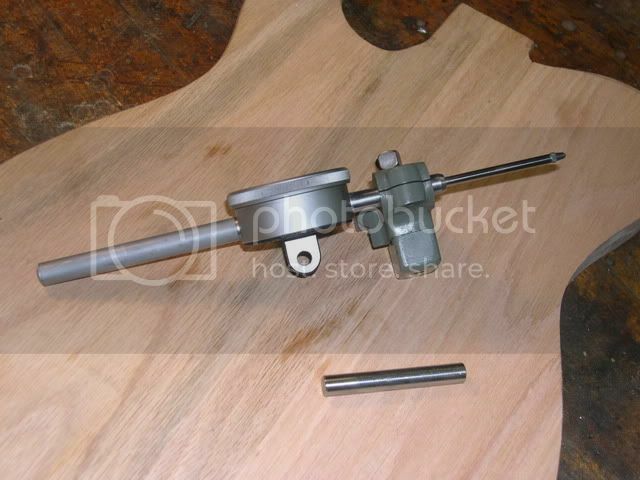 I've been seriously eyeing some of MLAs kits but they're geared towards a 9" lathe and I have a heavy 10. I figured some of the stuff would work, but wasn't completely sure. This in fact was one of the projects I wanted to make and I was assuming that the vee would have been rough cast in. To that end, could you measure from the top/point of the vee to indicator hole's center? Did you debate machining the bosses where the indicator mounts? Nothing mates with those surfaces, so I'd have to think about it myself. Looks nicer that way, but another surface that wants to rust on you. PS did you ever get the faceplate? I'm dieing to see what that looks like from the back -- I'm hoping it could be machine to mate with a D1-4 spindle without making an adapter. Hmmm...I suddenly feel motivated to start taking pics of my MLA steady rest project. Thanks Paula, I'm always on the lookout for things to add to the tooling wish list. Very cool. Hadn't seen that site before either... wow. Why wouldn't you get some stock of choice and make one of those? That's what I was planning on doing. Am I missing something? Beautiful work as usual - thanks for posting. I really like the "original" look. Thanks Paual. I wanted to make sure there wasn't a material advantage to the kit as opposed to what other members are using.... Al and such. carriage stops and machined it a few years back. I didn't bother to paint mine. 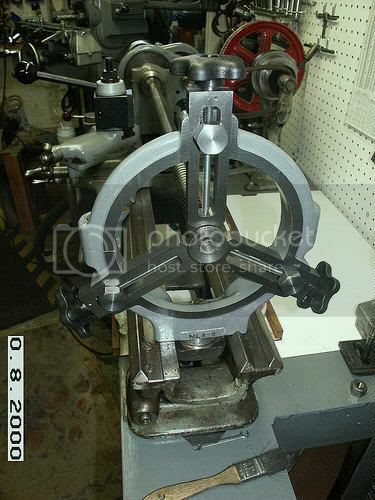 The nice thing about the MLA-8 is that it is beefy enough to machine the inverted "Vee"
to fit other size lathes. I machined mine to fit my 11 inch Logan. of the indicator and to improve the appearance of it. of the "zero" mark. Then just move the carriage by hand the last Thou or so. Very Cool! Not as pretty as your's Paula, but I made it out of an extra stop I had laying around a few years ago. I was going to wait a few days, so as not to cut into you post. I have a complete fabrication story written up. I can post it if you want. It is very detailse and will run on and on. Ok this will take several "replies". there are 19 pictures and we are to 4 Pictures per reply so give me a chance to do 5 replies before breaking in. It will take me a few to load up my Flckr site (which is down at this instant) but I will be back. Threads like this are beyond informative for us newbs... appreciate all the work that goes into posting them! is at full left travel. Please do tell...with pictures, etc! I've often wondered why SB used a SHCS instead of the ominpresent square head screw. annealed, which accounts for their somewhat scaly appearance. with respect to each other when it is tightened down. I will post my pictures and process when I am done Paula. I will admit to making some design changes along the way from what the plans list. I am only lacking drilling and tapping the clamping bolts, turning the 1/4" all-thread for the adjustments, turning some knobs for the ends of the all-thread, and mounting the casting to my adapter plate for the 13" bed ways. So far the only screw-up has been putting the wrong angle on the side cuts on the first finger, and I had enough Brass left to make a replacement so no biggy. Can't wait to make a contribution here as the site has been most helpful, but it will be a few weeks as I have a wedding to go to and then a bit of well-earned Wife and Daughter time soaking up the next two weekends. Here are two different stops I made for my 9A. 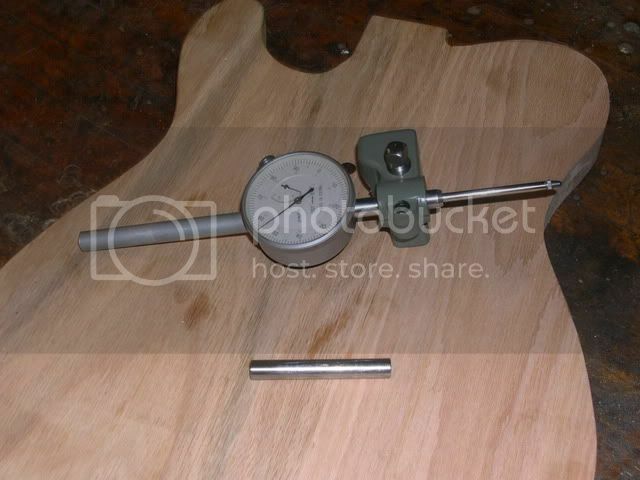 One has an old Starrett micrometer head and the other a 1" travel dial indicator. 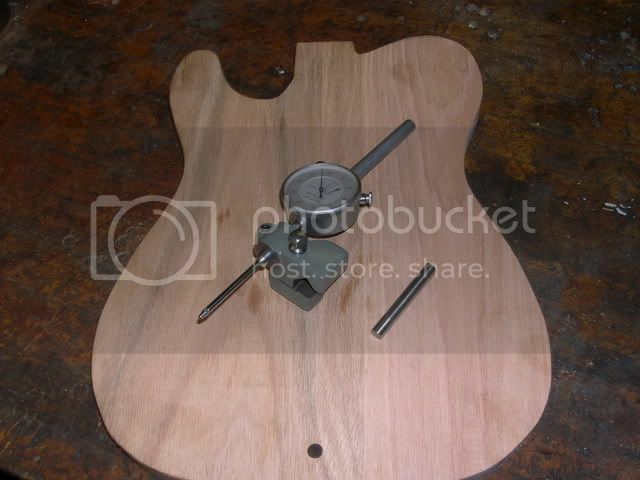 I haven't radius'd the corners on the clamp piece for the dial ind. holder yet. Both are aluminum bar stock. The holder with the dial ind. is wider (1") so the stem can't bottom out and damage the mechanism. You might also be able to adapt the quick release lever from a bicycle wheel. I picked up a 2" starrett indicator at an estate sale. Now I need to make one of these brackets for it. on the dial is visible there. I have a simple question regarding the design of the original post. why are there 3 sliding surfaces on the bracket? there should only be 2 (resting on the v-way) I can;t understand for the life of me the need for vertical contact? is there really a good reason or is it simply adding unnecessary machining time. The way clamp needs to rest on something, so the bottom of the 'body' has to come down that far.... why not make it useful? That's my guess. That surface had better be dead nuts on, or it could make the top not seat on the v-ways. The v-ways are such a good reference surface that I think it would be better off without contact on the side. Of course on my Atlas with flat ways, that edge MUST be the reference for the clamp. It doesn't seem like a stop or mic holder would have to be that precise, but that's probably just me being thick again. Actually that's true, the MLA design does indeed have an "overdefined"
above, the upper part only contacts the ways on V portion. I think what Jim Rozen really means when he uses the term "overdefined geometry" is the engineering phrase "tolerance intolerant." In other words to make it work he wants some slop in it, some "elbow room." Andy L.
My apologies for promoting a seriously flawed design. Next time I'll save myself the bother. Hello Paula, - Please forgive me in advance if I'm out of line but I don't think the MLA-8 indicator - saddle stop has a "seriously flawed design". I think it's a good design and a elegant look. I made one almost 18 years ago, or so, and it works fine. It was a little difficult to machine for a beginner, witch I was at the time, but I was so proud of it I would show it off to anybody that came over to my shop. I made a square, skirted bolt like the stock saddle stop bolt so I could use the little SB .375 tool post wrench. I will try to post some photos when I get a chance. 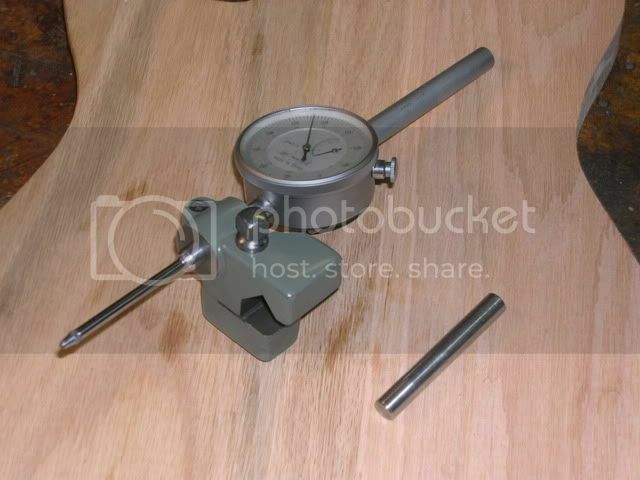 I hope I'm not opening a can of worms here but I really like the Metal Lathe Accessories kits. I feel they ad allot to the hobby and home shop machining. Just my 2 cents, thank you. Ah - I've trod a toe. top V have to be just so to give a nice clamp-up. some very nice designed parts. Just to clear things up a bit, my "flawed design" comment above was intended sarcastically -- I think the MLA-8 is a great lathe accessory, and it's design is superior. MI_PLY's uninformed critique (and the subsequent piling on by others), coming at the tail end of what I thought was a fine review of a worthy product, just hit me at a bad time, and my reaction was disproportionately harsh. As I attempted to explain in an earlier post (now deleted, and apparently not very effective anyway), what makes this indicator holder such a pleasure to use is the combination of the extra-wide upper (sliding) portion of the bracket, the added mass of the upper bracket (which counterbalances the weight of the indicator), and the well-defined contact surfaces, especially the one which rides along the front of the bedway. These factors combine to make the tool slide very easily along the bedway when the clamp is loosened -- it doesn't immediately sag down and bind up, like lesser units with underdefined sliding surfaces. I think some of you may have confused the bracket with a precision machine slide. There is no need for great accuracy here -- you just want the three mating surfaces in reasonably close contact with the bedway, to provide a guiding influence as the bracket is pushed along the bed. Doesn't need to be "dead nuts on". I actually found it quite easy to machine, working first from a scribed line, one trial fit, and a final eyeball pass. Some hand scraping would ensure it if they don't. Paula, I wish you would consider reposting your article and photos of your indicator/saddle stop project. As a novice, I enjoyed all your articles and appreciate the fine photos and descriptions. You not only do excellent work, you also describe your work in a way that makes it easy to understand. Your photos always show the subject accurately. I'm sure it takes a lot of time and effort to produce these articles, and I would like to say "thank you" for what you have done to help the novice (me!). I hope I won't offend you or others here, that is not my intent, trust me. I didn't get the intention you were being abused. Perhaps I'm just used to that kind of comment as a male and an engineer (a deadly combo ) However, the main point seemed valid -- the front edge of the ways is by no means precision machined. 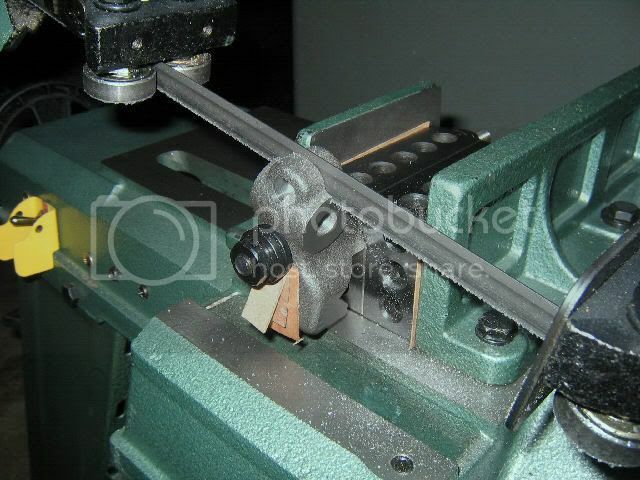 if you were mass producing those brackets and trying to make contact on those 3 edges, you'd be in trouble fast as you find too many variations amoung specific lathes. But you're not mass producing them. You've custom fit it. So no harm there. As you point out there was a method to your madness. I second the plea to return your review. The readers can decide what machining they want to do. And in any case, there is NOTHING flawed in the design of the MLA-8 here. If you want the clearance on the clamp and bracket, machine it in. If you don't, don't. down into. And that novices especially look to this area to get ideas and inspiration. stuff if they try, I can, so can they. "Having the photos there in the thread is the right thing [snip]Nice to see them back." I'll second that! I could not make heads or tails of this thread when I looked at it yesterday...now it makes good sense and will be of great interest to others like me who are early in the "learning mode..."
paula thank you very much for putting the review back in, great work. Sorry to have caused such a rukus over this. I've been very on-edge lately over my job situation -- as in, I may soon be out of one. We shipped our last big job just after the first of the year, and there is nothing coming in behind it. Sales has a few things in the works, but no orders forthcoming as of now. One customer cancelled a $500,000 contract in December, and the layoffs have already started. So far, three design engineers have been let go (one of them being the owner's son, who was "co-opping" here), along with the parts manager and one assembler in the shop. That leaves me and the controls guy as the lone survivors in the engineering department. Sitting around, trying to look busy, and waiting for the axe to fall makes for a long day. I've got feelers out for some freelance work to tide me over, but I'm not really looking for another full-time position just yet. I'd like to keep working here, if things pick up. Anyway, sorry if I allowed personal problems cloud my judgement in this thread. sorry to hear about the misfortunes of your work. i will keep you and your employer in my thougths. 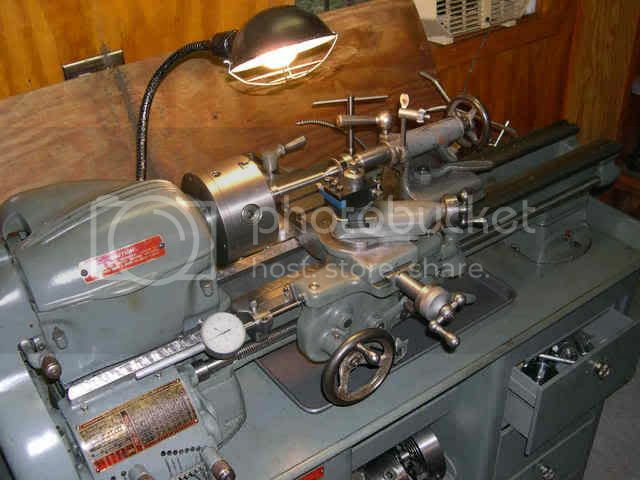 It was only after reading Paula's post about "links", that I had ever heard of "Metal Lathe". It sounds Fabulous! I have built steam engines from castings from Stuart Models in England, they are high quality - but very time consuming. There is no satisfaction like whipping up a small project that actually gives you something back...a new attachment...added versatility...etc. 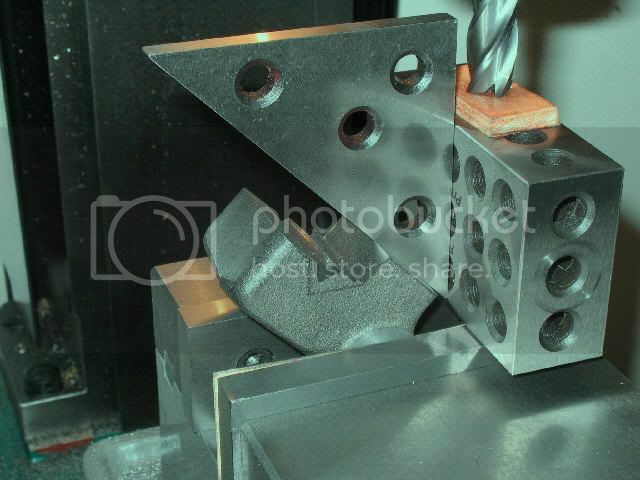 I am planning to do the Cross Slide casting (for eventual Milling Attachment), and I will do the Dial holder as well. That large steady rest looks good too! Castings just look so much more original! 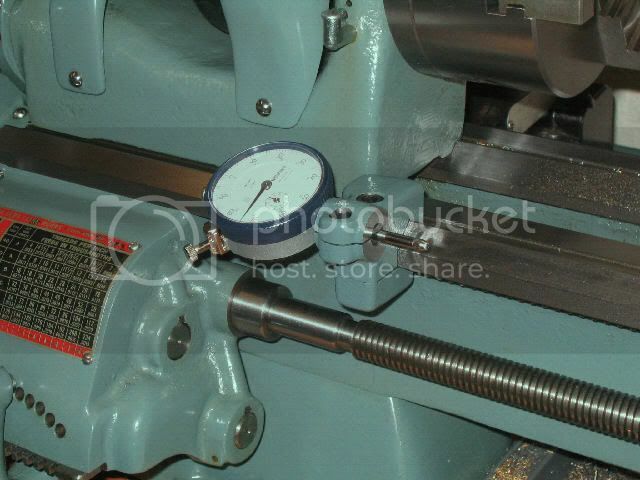 My concern is; this Metal Lathe chap (whom I have not spoken to yet), sounds like a sort of "One man business". What will we do when his products are no longer available? The casting business is not easy unless you are highly experienced. At times I feel we are the last of the last. http://www.frets.com/FRETSPages/Mach...iefiler01.html Just what I need, another project that I don't really have the time for. My 15yo son liked it too so it will be a joint effort for us that we are both looking forward to. MLA has some nice, well thought out products, that are quite worth the time spent on them. Not a fun or productive way to spend a day is it? Thanks to all of you for your kind thoughts. I made it through Friday without getting "the notice" (it seems that they notify you on Friday afternoon), so I guess I still have someplace to go on Monday. I have built steam engines from castings from Stuart Models in England, they are high quality... There is no satisfaction like whipping up a small project that actually gives you something back...a new attachment...added versatility...etc. I have to say that I agree wholeheartedly. I have a casting kit for a Stuart 10V engine that is patiently waiting it's turn to be built (along with a couple of other casting kits -- a 3/10 scale John Deere hit/miss engine, and 1/2 scale Briggs & Stratton model FH). Again, I agree. I think that castings lend a certain authenticity to a machined project. 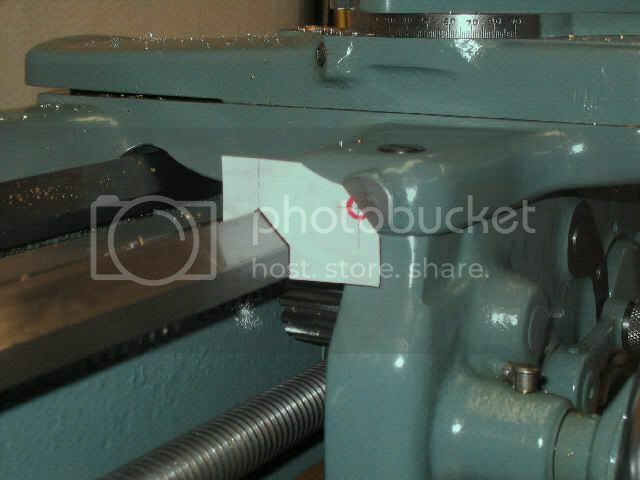 My concern is: this Metal Lathe chap (whom I have not spoken to yet), sounds like a sort of "One man business". What will we do when his products are no longer available? All the more reason to get the castings now, if you are eventually planning to make the items. That's what I did with the Briggs-Stratton kit, even though I wasn't planning to build it right away. Turns out that the guy selling the kits fell ill, unfortunately, and only managed to sell a few of them, so I'm very glad that I purchased one when I did. If you don't mind ,could you tell me where you found JD castings .I would love to build one of those ,and I find I have the time Now. Not sure if they are still available, but check this post for the particulars. The John Deere Model E, with it's enclosed crankcase, was something of a milestone design. My experience is that these kits are almost always of limited availability, either by intent (to increase their collector value), or by the supplier's own patience in dealing with commercial foundries. Let me know if I can be of any further help. That's a two inch indicator, right? And while we're at it, how come everyones' indicators look so spiffy. Mine looks like it's been through the laundry.